Culotte dress and sash by John Bates for Jean Varon, 48gns. The most Easter-themed spread I could come up with at short notice. Happy Easter and hello Mr Spring, I’ve missed you so! Prints by Bernard Neville for Liberty. 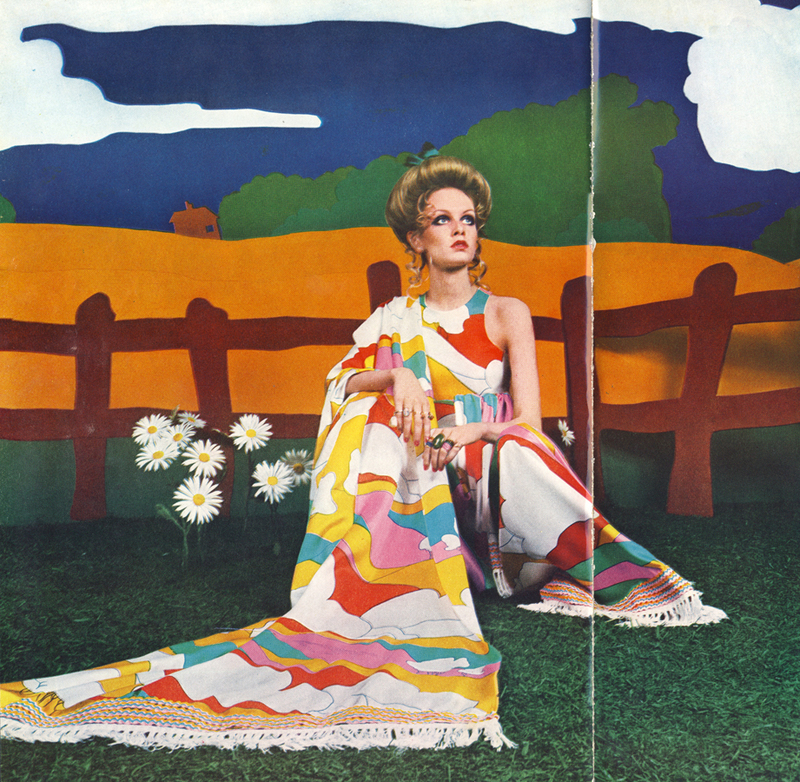 Photos by Justin de Villeneuve. 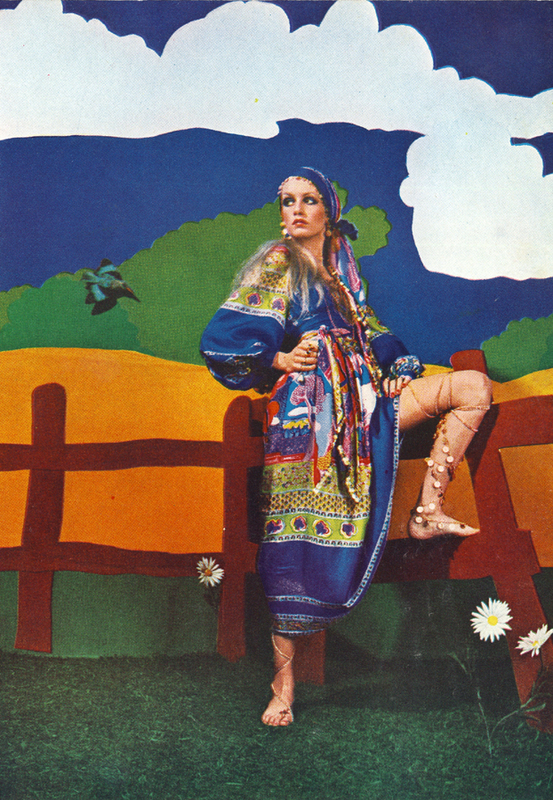 Vogue, May 1969. Gypsy dress, to order at Belinda Bellville.